Posted by Grant Georgiades on December 22, 2014. 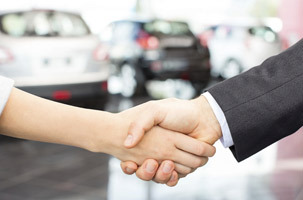 As a specialist broker of insurance for car dealers we have been monitoring the review carried out by the Financial Conduct Authority (FCA) on the sale of general insurance add-ons. These include products such as GAP Insurance and Fabric Protection Cover. Our intention is provide expertise and informed advice based on our experience as motor trade insurance specialists. The aim of the regulatory changes is to facilitate consumers gaining a greater understanding of the supplementary products. The policies have traditionally been incepted alongside a vehicle purchase. What has the study highlighted about practices? Thus far the regulator’s study has raised the question as to whether the current sales culture for insurance add-ons restricts the consumer’s ability to explore the price and quality of alternative products available in the market place. Rather than consumers comparing the price of alternative like for like products they are instead looking at a distorted view of the cost of add-on verses cost of the vehicle. The way in which the sale is conducted may prevent or dissuade the consumer from seeking alternatives. What are the implications for dealer liability insurance sales? Regulatory studies and their subsequent reports that follow generally result in changes being implemented. Already the add-on insurer providers have been working on products and processes so that a car dealers liability for mis-sold insurance products is minimal. They will be treating consumers fairly by enabling them to make more informed decisions and purchases. Neither party wants another PPI type scandal. So a pro-active approach is in the best interest of both new and used car dealerships as well as their insurer backers. A significant proportion of my salary is dependent on commission from selling add on products. So when we were informed about the potential changes it was a cause for concern. However I already make customers fully aware that other products are available at the point of sale. So hopefully the implications of any new regulations will not require too drastic a change in process. I tend to find that most of my clients have confidence in the products Jaguar has sourced on their behalf due to our strong brand. From car mats through to the their paintwork polish they would prefer to purchase the Jaguar endorsed product and this brand loyalty carries across to their insurance add-on buying habits. This might not be the case for less prestigious vehicle brands and other dealerships could be impacted by any changes more significantly. Impending regulatory changes may prove a headache and attempting to pre-empt the FCA’s findings a distraction. As a specialist independent insurance brokerage we are regularly required to consider FCA legislation and to respond accordingly. For car dealers insurance is not their main area of expertise. So interpreting the required procedural amendments might prove more complicated. At Plan we’re more than happy to offer informed independent expert advice on the subject to any car dealers that feel unsure how to proceed. The key point to consider is whether you believe that you are treating customers fairly? In relation to add on insurance the key factors involved with this would be whether the covers are presented as being optional, opt in as opposed to opt out and if the customer is made fully aware that cover is only being source from one provider and other options in the market may be worth exploring. An add on insurance such a GAP cover is still an insurance policy and customers should be made aware of any significant exclusions or limitations that apply which may prevent them from making a claim. Look at the policy add-on products you promote from the perspective of the consumer and question whether they truly represent value for money? Conduct a review of the price and cover of car dealer insurance add-ons offered by direct providers and other competitors. Can you increase your product range and suppliers to provide a more comprehensive array of policy choice for your consumers? What impact would there be on your business revenues if you were to divert referrals to a specialist car dealer insurance add-on supplier? The regulator’s study and the subsequent changes aim to improve competition in the market, aid the consumers to make more informed decisions which invariably will result in an overall improved purchasing experience. Could you create or adopt an insurance quote system to achieve the regulator’s aim of customers being treated fairly? Happier consumers will have a positive impact on your motor trade business, vehicle dealerships and the industry as a whole.